This World Health Day, every woman must take a vow to do yoga every day to avail of its powerful health benefits. Yoga may be several thousands of years old but still remains popular with everybody — from Prime Minister Narendra Modi to celebs in India and abroad. This World Health Day, every woman must take a vow to do yoga every single day. Why? “Yoga practices and its contribution in the preservation, maintenance, and the promotion of one’s health is well acknowledged with far-reaching benefits. Besides ensuring flexibility, better balance, and other physical health benefits, the regular practice of yoga promises calmness, mental relief from stress – anxiety and provides hope, strength, and courage to the individual,” says Dr Richa Chopra, Senior Sri Sri Yoga and Meditation teacher. While yoga can help everybody, regardless of age and gender, yoga can be especially helpful for women who tend to have a number of health problems — from hormonal issues to various aches and pains and post-pregnancy problems to stress and tension. Do a slow jog as you stand at your place. Follow this with neck rotation, shoulder rotation, wrist and hand rotation, feet rotation and knee rotation. Surya Namaskar: The 12 powerful asana sequence embraced in Surya Namaskars (Sun Salutations) can have an impact on every system (endocrine, nervous, cardiovascular, muscular and skeletal system) within the frame of the human body. Marjariasana: The cat pose brings flexibility to the spine, strengthens wrists and shoulders, massages the digestive organs and improves digestion, tones the abdomen, relaxes the mind, improves blood circulation. Shishuasana: The child pose is deeply relaxing for the back. It relieves constipation and calms down the nervous system. Ardha Chandrasana: The half moon pose strengthens the ankles, knees, legs, abdomen, buttocks and the spine. It helps open the chest and shoulders. It improves digestion, balance, and coordination and reduces Stress. Naukasana: The boat pose is especially good for strengthening the back and abdominal muscles. It also tones the leg and arm muscles. Bhujangasana: The cobra pose gives you relief from stress, anxiety, and depression. It gives relief from the stiffness in the legs and back. It helps strengthen the back, neck and abdominal muscles. Shalabhasana: The locust pose removes pressure from the sciatic nerve and gives relief from back pain and sciatic pain. It improves appetite and blood supply to lower back and neck areas. It strengthens thigh and abdominal muscles. 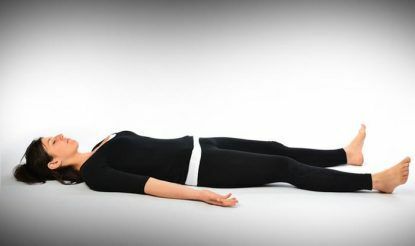 Shavasana: The corpse pose gives deep rest and the experience of the meditative state. It rejuvenates and heals effects. The number of Asanas is not important but the maintenance of each of the posture, aligning it to the breath and practicing it with honor is what is pivotal. It is important to practice relaxation techniques after practicing Asanas for at least a couple of minutes followed by Pranayamas. Pranayama or voluntarily regulated breathing techniques can help in enhancing the vital capacity of the lungs, diffusion ability at the intra and inter cellular level, thus bringing about a feeling of peace and tranquility within.